The League of Friends is run almost entirely by volunteers in one role or another. They are the vital lifeblood of the charity. Why not come and join us? The League of Friends Shop and trolley service around the wards are run by over 200 Shop Volunteers on a rota, supplying patients, visitors and staff with some of the little extras that make life more comfortable. The profit from this service goes towards equipment for the hospital. See our What We Do page for more information about our shop. If you have a few hours to spare each week and would like to do something really worthwhile, get out and make new friends, why not ring and find out more? If you are interested in becoming a shop volunteer please contact Shop Manager Jackie Booth on 01823 284944. If you cannot commit to a regular time to help, perhaps you would like to help as a Fundraising Volunteer on a more ad hoc basis. You might like to spend a few hours putting the ‘fun’ into Fundraising helping at an event. Come and meet people and get to some great events – help sell raffle tickets, take ticket money at the door, sell things on our stand, collect at a concert or park cars at an event, or many of the other things that need an extra pair of hands. You will enjoy it! Email or ring us on 07757 564178. 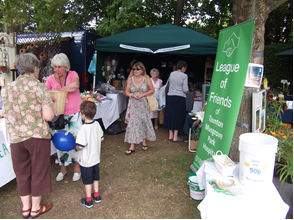 The League of Friends Fundraising Committee organises some events each year. Could you come along and bring your ideas and organisational skills to the table? Contact Chair of Fundraising Liz Kingston on 01823 461166 or email us. Could you get a few friends together and make your own special team to do whatever appeals to you and help raise funds for the League of Friends? We can support you with posters, collections tins, pull-up banner and give you advice on raffles, licensing or anything else to do with fundraising. (Don’t forget to let us know so we can help publicise your event and to send us your photos to encourage others!) Email us or ring us on 01823 256659. The Executive of the League of Friends is also made up entirely of volunteers who act as trustees, meeting monthly to govern the running of the organisation. Each year department heads of the hospital supply a wish list of equipment they feel would crucially enhance their departments’ work. The committee debates the contenders before deciding which requests to support that would benefit the most. If you think you have the skills and experience to contribute to the Executive board, your application would be welcomed. Please get in touch so that your name can be put forward at the next AGM. Contact the Secretary on 01823 461166.